Vienna MIR, Software convolution reverb from VSL (Vienna Symphonic Library). At this year’s Winter NAMM Show, the Vienna Symphonic Library team presents the Vienna Imperial, to be presented along with other Vienna Instruments. 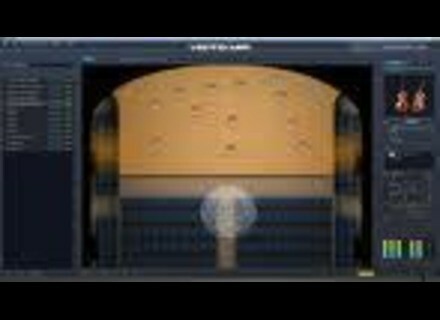 The new Vienna Instruments collection Vienna Imperial is the company’s new virtual piano. The venerable Bösendorfer Imperial 290-755, equipped with the piano manufacturer’s CEUS technology, was put to work by the Vienna team at the Silent Stage for two months. 1,200 recorded samples per key represent up to 100 velocities per key. Vienna Symphonic Library’s artistic director and project manager Michael Hula presents this piano on the Vienna Orchestral Piano prototype, Vienna’s first hardware concept study, at the open presentation stage right next to the Vienna booth. [NAMM] Arturia Minimoog V 2 V-Synth Arturia has announced the new version of its Minimoog V virtual synth. Synapse Audio Unveils Toxic v2.5 VST Synapse Audio has announced that Toxic 2.5, its FM and analog modelling synthesizer, is now available as a VST plug-in. [NAMM] Arturia Brass 2.0 Arturia announced it will soon release its Brass 2.0 virtual instrument.